Where is Atali Ganga located? We are spread over 3 acres of hillside overlooking the Ganga and surrounded by reserved forest, 30 kms from Rishikesh on the Badrinath road in Uttarakhand. What exactly does Atali Ganga offer? Is Atali Ganga for my family or my team? Atali, Ganga is ideal for families, schools and organizations who want to experience the great Indian outdoors from the comfort of a resort setting. We are built on a hillside and all cottages involve a bit of a climb to reach. But we are sure this will add to your outdoor experience. We have no TVs in our rooms. But there is one in our lounge for big match days, movie screenings etc. Since we are surrounded by reserved forest, we discourage loud music, and appreciate if you do the same. Unplugged performances are welcome. Kids with a sense of fun and adventure will love being here and we promise they will not want to go back. We offer structured and supervised outdoor activities for kids above 6, including climbing, hiking, kayaking, pool time, birding and astronomy. We also have tons of indoor games and books for kids of all ages. We do not offer structured activities for kids below 6 and they should be under the supervision of at least one parent at all times given the hilly terrain. What are the timings of White Water Cafe? Our White Water Café operates only during regular meal times, not 24X7. 3. Good strap–on sandals – something which will last the trip. If you have a good pair of sandals, that will suffice. Or, spare sneakers/flip flops will be handy for camp. 9. Long trousers / long shirts / T-shirts etc. Note: Though our staff will take your bags to your cottages do try and get duffels, soft tops etc please. This is fastest and most convenient way of getting here, especially for guests who are not from Delhi and wish to get to Atali Ganga with little fuss. 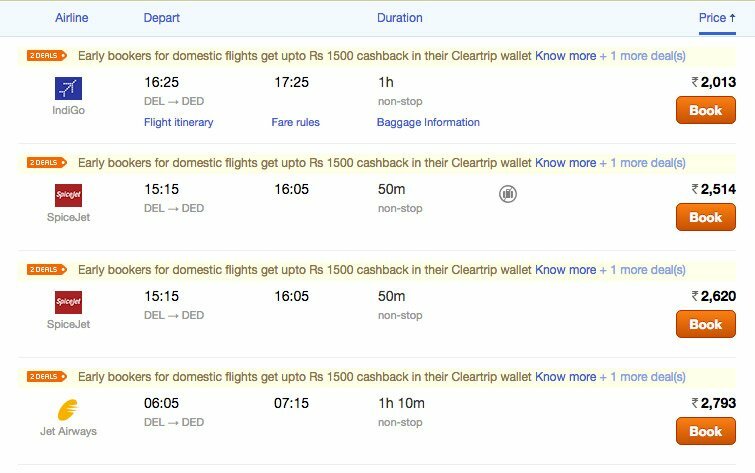 With 4 airlines – Jet Airways, Spicejet, Indigo & Air India flying to Dehradun from Delhi with Connecting flights from all the Major Cities in India reaching us has never been easier. We are 1 hr and 30 mins from the airport. Atali Ganga is 1.5 hours from the closest railhead at Haridwar. 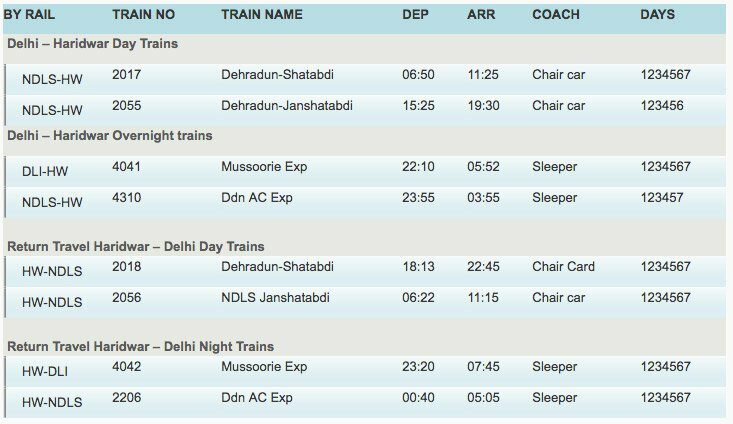 The morning Dehradun Shatabdi from Delhi or the overnight Mussoorie Express are both convenient ways of getting here.The Mussorie Express gets you here on time to enjoy a full day after a good night’s sleep on the train. Cottage Rates include 3 meals, (Lunch through b’fast) , evening tea & cookies, pre dinner snacks (2 veg & 1 non-veg), pre dinner soft drinks, 2 activities a day including 1 raft trip during a stay and all applicable taxes. Drivers can be accommodated at Rishikesh / Byasi or Kaudiyala, we have no facilities for accommodating drivers at Atali, Ganga. You are welcome to bring maids, standard cottage charges will apply. Any cancellation received within 31 days prior to arrival will incur a charge of 50% of the booking value. Any cancellation received within 14 days prior to arrival will incur the full period charge. Failure to arrive at your hotel will be treated as a no-show and no refund will be given. In the event of premature departure, the full extent of the stay as originally booked and confirmed will be charged. Please note check-in time is 12pm, and check-out is 10am. Please plan your activities, and travel to and from Atali accordingly. If you are rafting on your day of departure, you would need to check out before leaving for the trip. At Atali Ganga we stress the importance of privacy and are committed to earning the trust of our guests by adopting high standards for the protection of personal information. In this policy ‘Atali Ganga’ means Aquaterra Adventures (I) Pvt Ltd. and its affiliated companies, as they may exist from time to time, which include, without limitation, the subsidiaries which carry on business that use the following name: ‘Atali Ganga’. The words ‘we’ and ‘Atali Ganga’ do not include third-party websites. It also includes information on guest preferences and usage, when such information is supplied to or recorded by us in the course of transacting business with an individual. By making a reservation or by using our website. When making a reservation it is necessary to have information in order to identify you, contact you and to process your booking and requests. This information usually includes your name, address, phone number, e-mail address, credit card number and expiration date. No banking information is stored on our servers, they are directly processed by our secure payment gateway provider’s website – Instamojo, RazorPay or HDFC/PayU. It may also include, if you choose to share that information with us, your preferences regarding the delivery of your service such as type of room, type of bed, and the like. We also offer special discounts from time to time that may have qualifying criteria. Sometimes we offer special offers to, for example, seniors or for children. You may be required to provide personal identification with your date of birth in order to verify this upon check-in. Your personal information is never shared with any third party organisation or person(s) unless they are involved in delivering the service to you to the extent necessary for them to do so and to process the transaction. 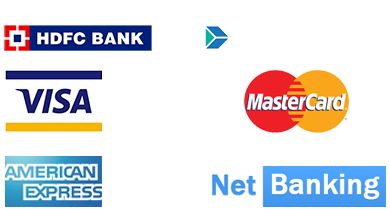 We never store any Bank Details you may provide while paying online to confirm your reservation. These details are stored by our Secure Payment Gateway Providers and are encrypted by the latest technologies on their servers. We may use the information you provide to send you offers and information about our services and those of select third parties. Your information will not be given to these third parties but rather the offer of the third party will be provided to Atali Ganga which will manage the distribution. If you do not wish to receive such offers and information you may unsubscribe or opt-out by sending an email to bookings@ataliganga.com, using the subject line “Unsubscribe”, so indicating your request with sufficient personal identifiers so we can appropriately act on your request. All our marketing communication of this type will also contain instructions for unsubscribing. We may disclose a guest’s personal information to a person who, in the reasonable judgment of Atali Ganga, is seeking the information as an agent of the guest – for example, a travel agent who is booking a reservation on behalf of the guest. Personal information may be shared with a third party retained by Atali Ganga to perform functions on its behalf such as reservations handling, data processing or storage, guest surveys or research. Personal information may be shared with an agent retained by Atali Ganga to evaluate a customer’s credit worthiness or in order to collect a customer’s account. Personal information may be shared with a public authority or an agent of public authority if in the reasonable judgment of Atali Ganga it appears that there is an imminent danger to life or property which could be avoided or minimized by disclosure of the information, or which disclosure is compelled by legal authority. Any such disclosure of a guest’s personal information by Atali Ganga to a third party will be made only on a confidential basis conditioned upon the information being used only for the purpose for which it has been disclosed. We will strive to keep your personal information as accurate and up to date as is necessary for the purposes identified above. We will honour your request to access your personal information in a timely fashion as is reasonably possible. You may also withdraw your consent with respect to the use of your personal information for marketing purposes at any time, subject to legal or contractual restrictions and reasonable notice, by e-mailing us at bookings@ataliganga.com using ‘Unsubscribe’ as the subject line, and providing us sufficient personal identifiers so we can act effectively on your request.